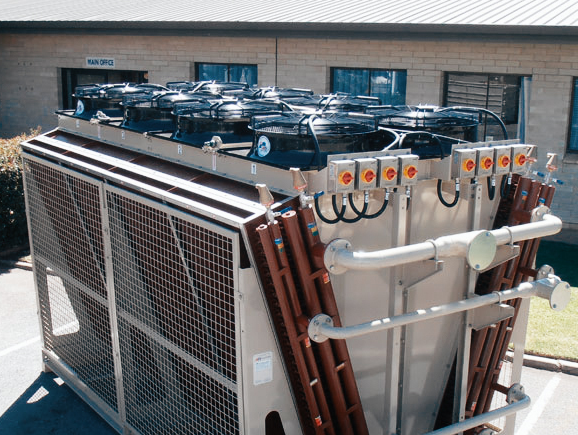 Air Radiators offer Dry Coolers as a closed loop solution to the traditional high maintenance Evaporative Cooling Tower, eliminating plume, water consumption and bacterial growth, and reducing running and maintenance costs. 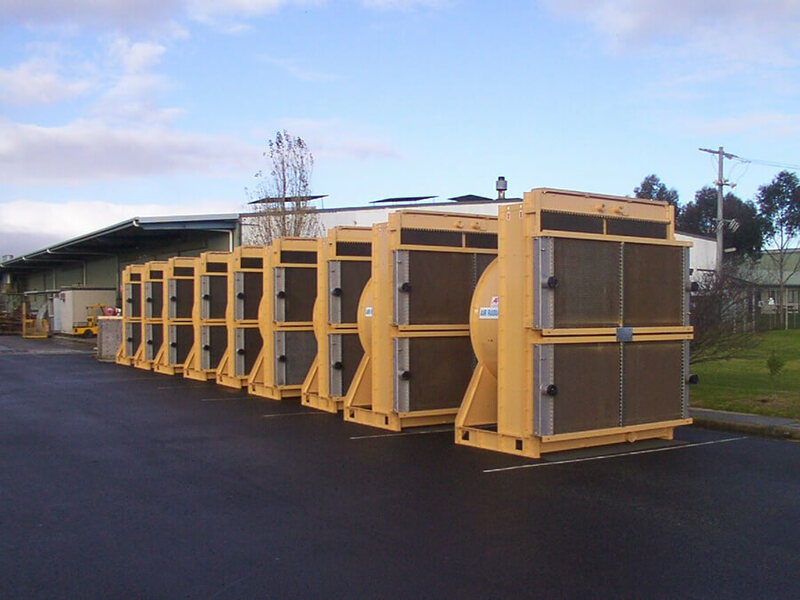 Air Radiators offer Dry Coolers as a closed loop solution to the traditional high maintenance Evaporative Cooling Tower, eliminating plume, water consumption and bacterial growth, and reducing running and maintenance costs. 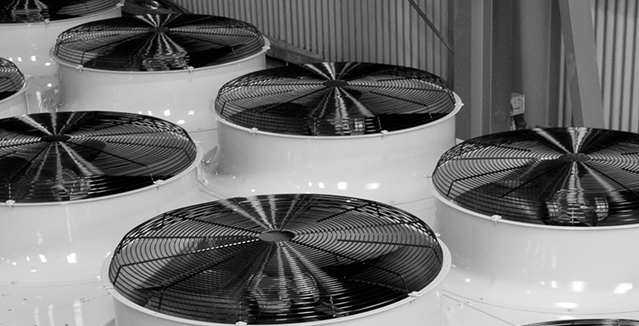 This technology allows for cooling of glycol/water-based mixtures taking advantage of the ‘free cooling’ offered during low ambient conditions. 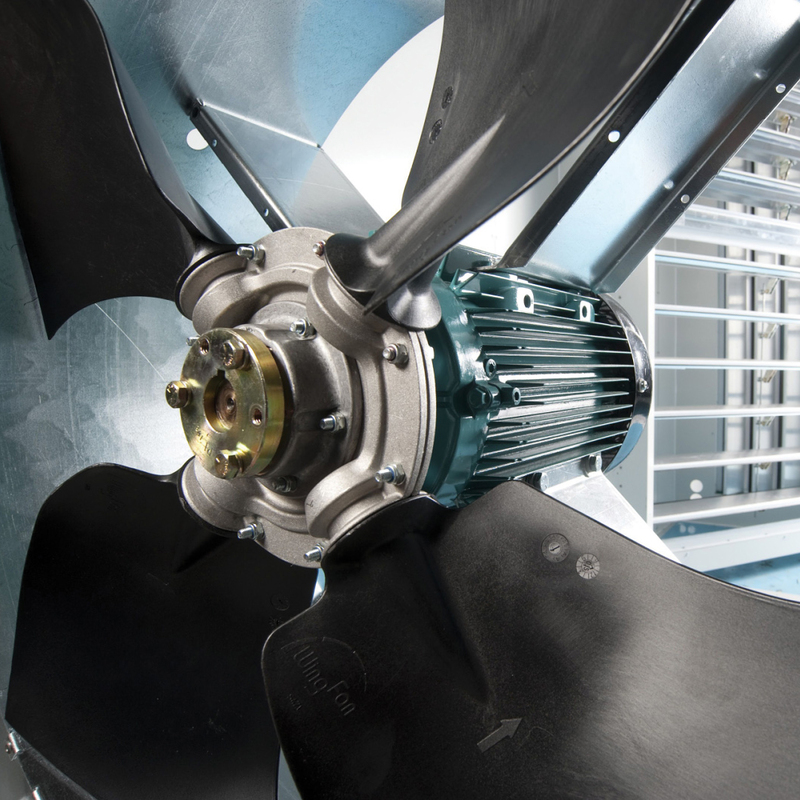 Module or bays can easily be added or removed from the design, and high efficiency fan and drive systems ensure noise and parasitic power is limited during operation. 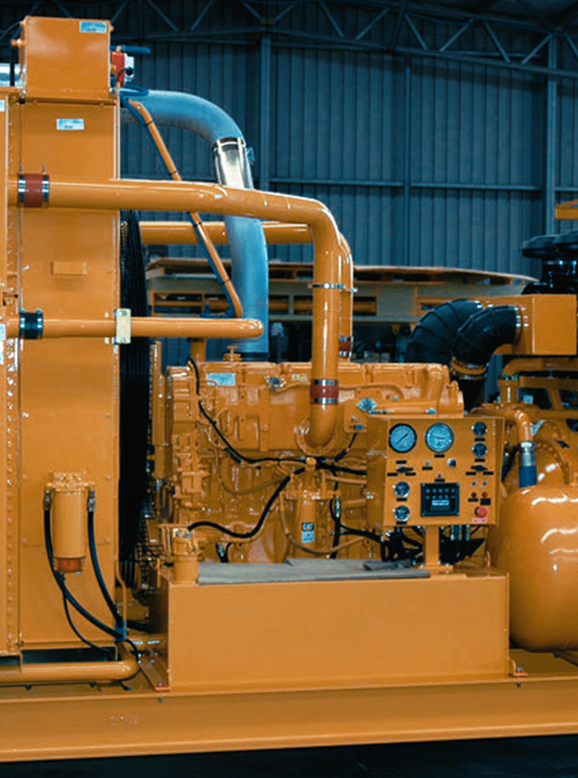 Applications such as stationary diesel-driven generator sets and pumps require reliable and compact cooling systems. 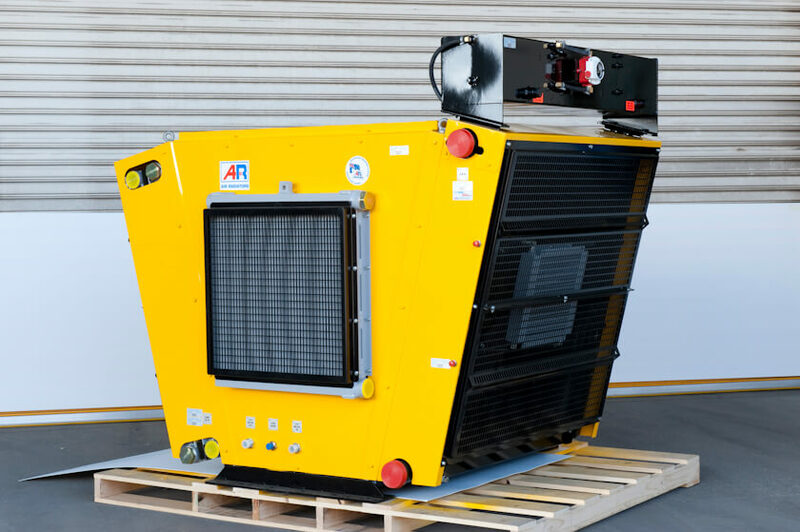 Air Radiators offers Skid Mounted cooling packages that incorporate fit-for-purpose design features, ease of installation and low maintenance. 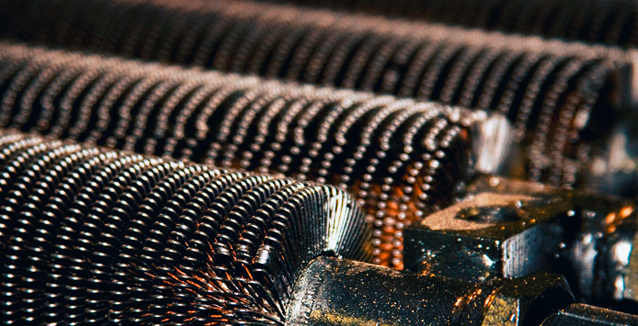 Large electric motor and electrical alternators often use water-to-air heat exchangers in order to keep electrical windings within temperature limitations. 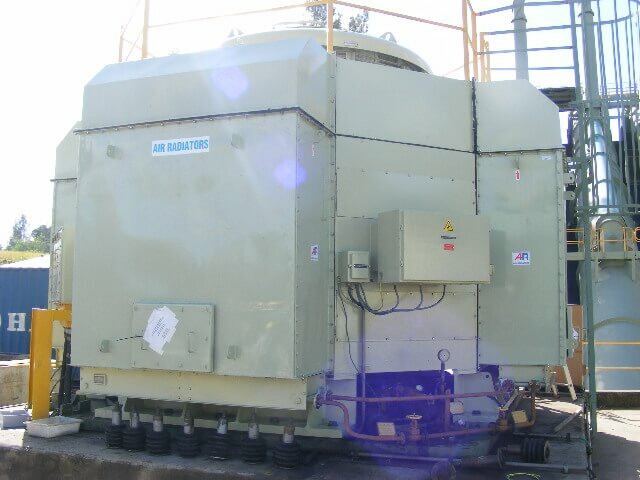 These heat exchangers or “coolers” are usually housed near the motor or alternator and ventilation airflow, generated by fan blades attached to the rotor shaft, is passed through the coolers to facilitate heat transfer. 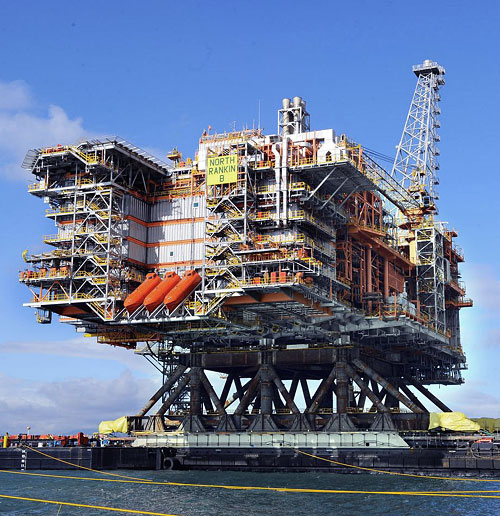 Water or a similar coolant is circulated through the heat exchanger to transfer collected heat from air to the coolant. 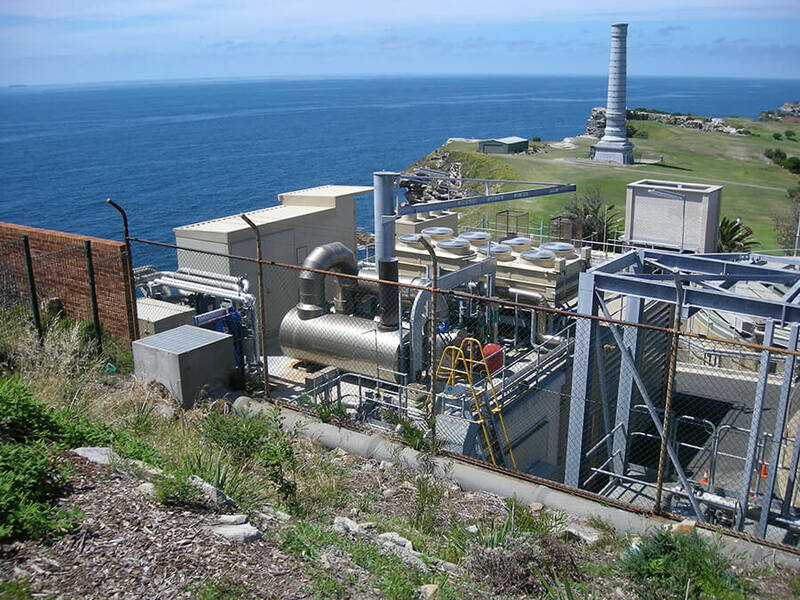 The threat posed by a vessel leaking coolant near large electrical equipment is a significant driver in the design of coolers that are not only thermally efficient, but also extremely robust. 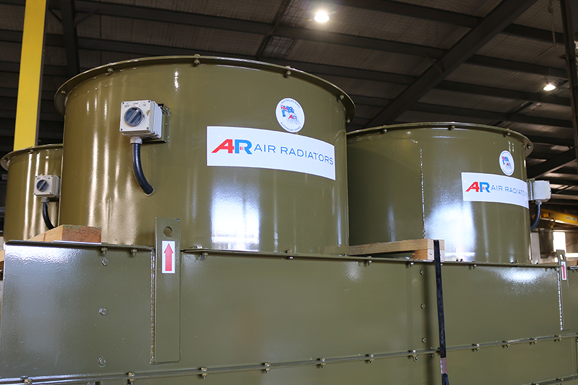 Air Radiators has more than 40 years’ experience in the design and manufacture of coolers for this unique and challenging application.